Big Bang is the exclusive Canadian importer of Grupo Luso's exciting product line from Portugal. Grupo Luso is a team of fireworks artists, dedicated to perfection in their craft.,Luso delivers exquisite effects that are unique and manufactured to high standards. They produce the best fireworks we have used, and we feel fortunate to partner with them in North America. 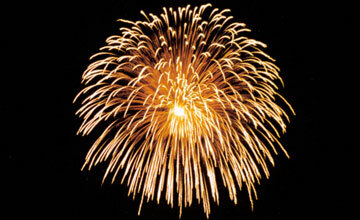 Big Bang also imports fireworks from Pirotecnia Caballer, an acclaimed manufacturer from Valencia, Spain. We also work with additional manufacturers to complete our product line, including sources from China and other countries. Dan travels regularly to Europe to meet with our manufacturers, view product demonstrations, watch shows, and collaborate on the development of new products. This ensures that our customers receive, and will continue to receive, the finest fireworks available.